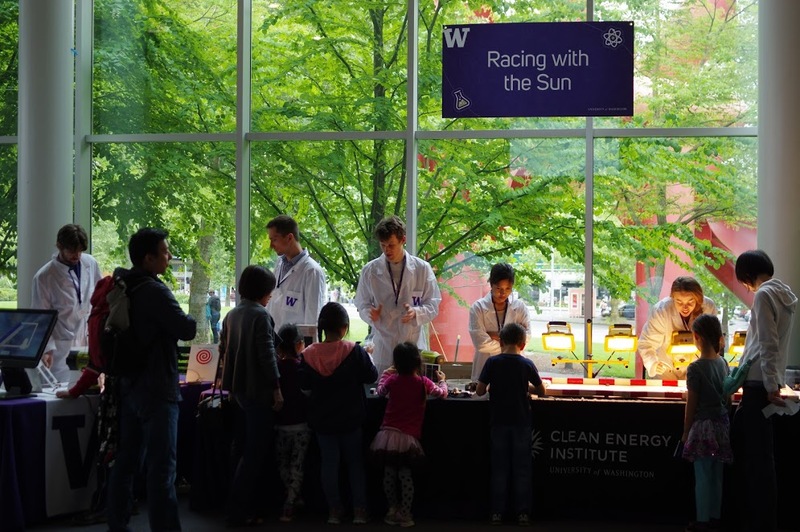 The CEI Graduate Fellowship Program funds exceptional researchers from departments across the University of Washington, including Chemistry, Chemical Engineering, Electrical Engineering, Mechanical Engineering, Materials Science and Engineering, and Physics, to apply their talents to clean energy research projects, participate in outreach activities, attend conferences, and develop professionally. Application are now open. All materials are due May 1. Interdisciplinary Seminar Series: CEI fellows have the opportunity to meet an impressive set of invited speakers each quarter. Fellows should enroll in MoLES 599 to get credit for this series. If you would like to have lunch with a visiting speaker, or have an suggestion for a future speaker, please send a message to Kelly Thornton. Include the speaker name, area of interest, and reason for inviting if you are recommending a speaker. CEI Fellows visited UniEnergy Technology in Mulkiteo to see how flow batteries are built. Field Trips: Periodically we will arrange energy-related tours of area businesses and installations for our students. 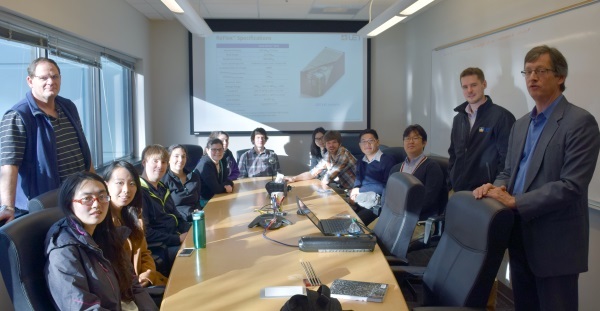 We have visited Itek Solar, Microsoft Smart Building Operations Center, and PNNL labs. Contact education director Shaun Taylor if you have an idea for a field trip. Interdisciplinary Training: Fellows use resources such as the Energy Basic Canvas Course and the Clean Energy Wiki to broaden their understanding and talk across disciplines. video production that will prepare them for a productive career. Opportunities will be offered throughout the year; contact education director Shaun Taylor with ideas or inquiries. Outreach Activities: Lead K-12 students in hands-on activities and present at community events such as Paws On Science, Engineering Discovery Days, and many other events as a Clean Energy Ambassador. CleanTech Alliance Breakfast Series: CEI provides one free breakfast ticket per month to Fellows (see current schedule). Contact senior communications manager Suzanne Offen if you are interested in attending with CEI’s ticket. We recommend business attire and using public transportation if possible; parking can be expensive. Each year Graduate Fellows submit a Project of Lasting Value at the end of their fellowship period. Peruse previous products and get details on types of products. Graduate Fellows should acknowledge Clean Energy Institute funding in their posters, talks, and publications and use the CEI logo appropriately.